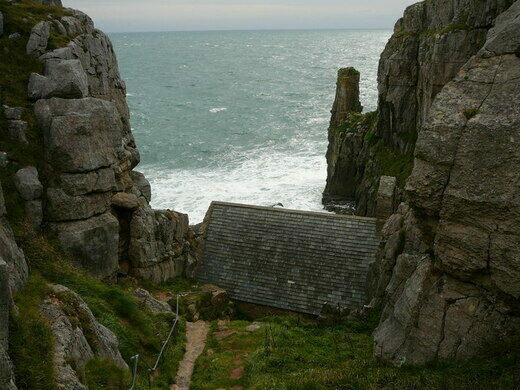 A hermit's tiny cell built into the cliffside that saved him in South Pembrokeshire. 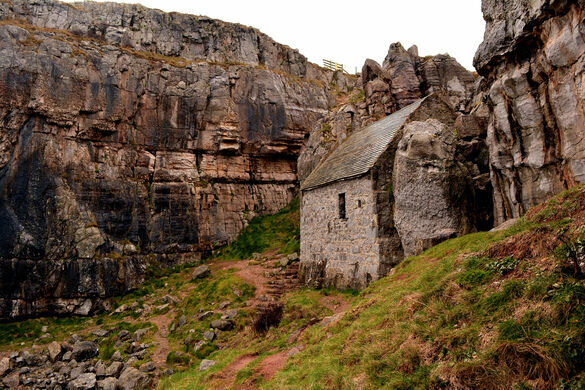 St. Govan lived his life as a hermit in a cliffside cave in Wales, and those willing to make the steep hike can still visit his mystical hermitage by the sea. A wildlife paradise, this island is one of the world’s most important habitats for burrow nesting seabirds. Go back 50 years with a turn on one of the park's carefully restored vintage fairground rides. 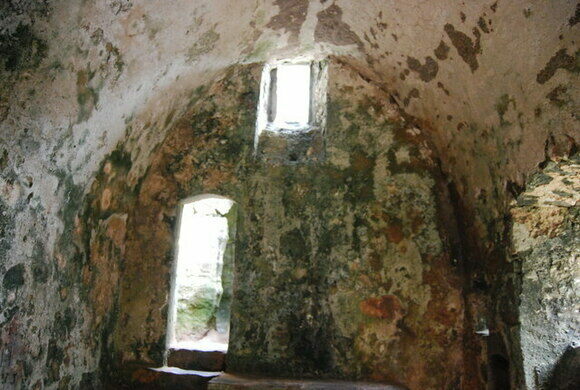 The history of St. Govan is murky at best. It’s believed he was an Irish abbott living in the 6th century, though other more fanciful stories describe him as a thief. Some even believe that “Govan” is a mutation of “Gawain,” a legendary knight from the court of King Arthur who was said to have receded into hermitic life in his final years. Whoever he was, Govan was en route to Wales when he was attacked by Irish pirates off the coast. Govan ran to the cliffside, where the rock allegedly morphed into a secret cave for him to hide in. After his pursuers left, Govan decided to remain in the cave as thanks to God and to the cliffside that saved him. 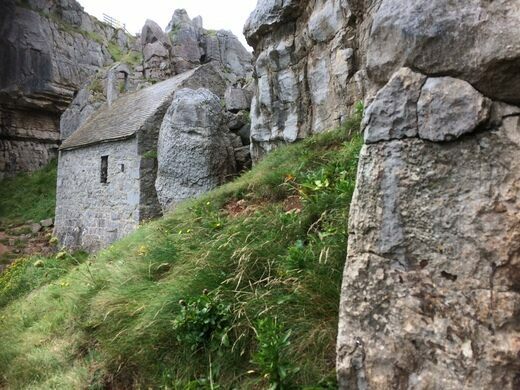 He set up a monastic hermitage in the cove, living off the nature surrounding, and remained there for the rest of his life. 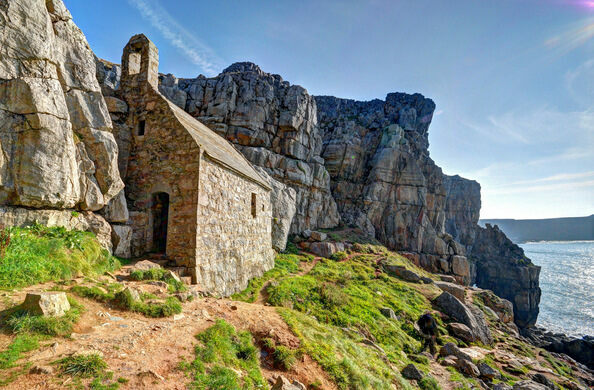 In the century following, the cove became an important site of worship known as St. Govan’s Head. The spring which the saint took his water from was said to cure ailments of the limbs and eyes. 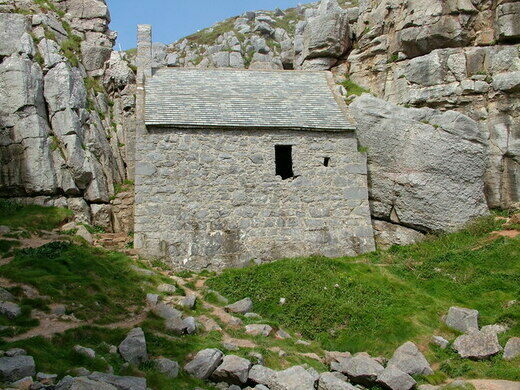 Sometime in the 13th or 14th century a small stone chapel was erected on the site. It still stands there today, measuring roughly 20 feet by 12 feet, containing nothing but a bench and a small altar, which Govan (or perhaps Gawain?) is said to be buried beneath. Nearby is a well which took from the miraculous spring, now dry, which people still cast wishes upon. 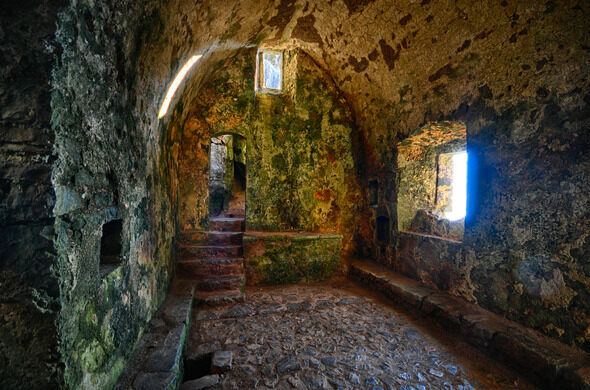 A spiral staircase connects the limestone cave with Pembroke Castle, birthplace of King Henry VII. Eerily lifelike effigies stare at everyone who enters this sanctuary. The Church of the Annunciation was carved into the face of a cliff, just like the rest of the town of Haute-Isle.